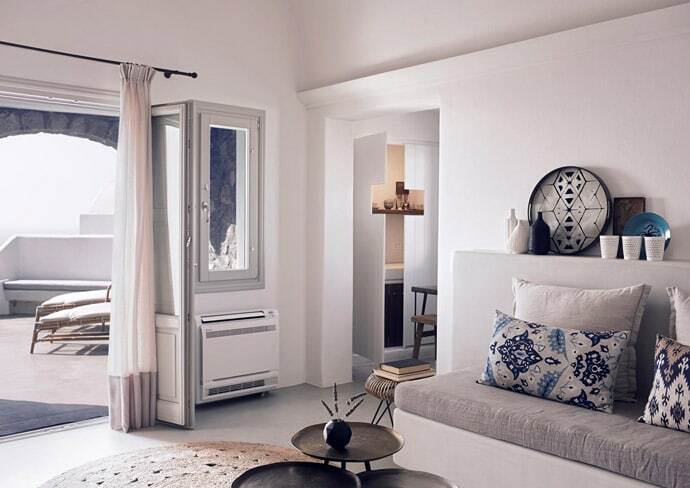 Choosing the best area to stay in Santorini usually comes down to choosing between the main villages of Oia, Fira, Firostefani, Imerovigli, Kamari and Perissa. There are also a few other villages/areas but to keep it simple, I’ll just focus on the main ones in this article. 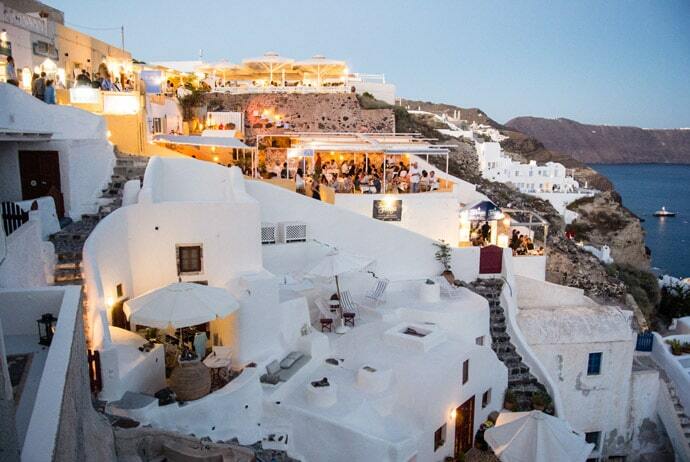 Oia is the prettiest of them all. 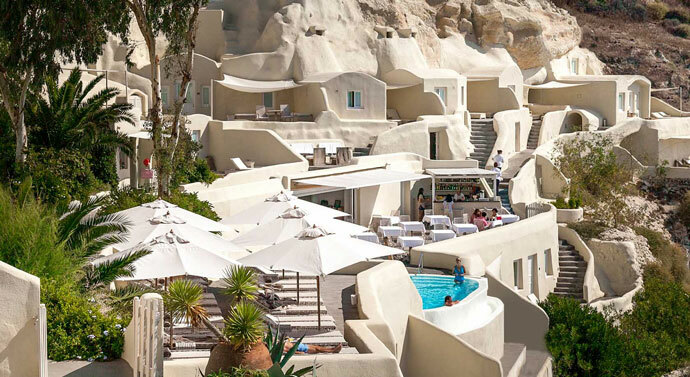 It’s a beautiful little village of white stone buildings and cave houses sprawling down the caldera. 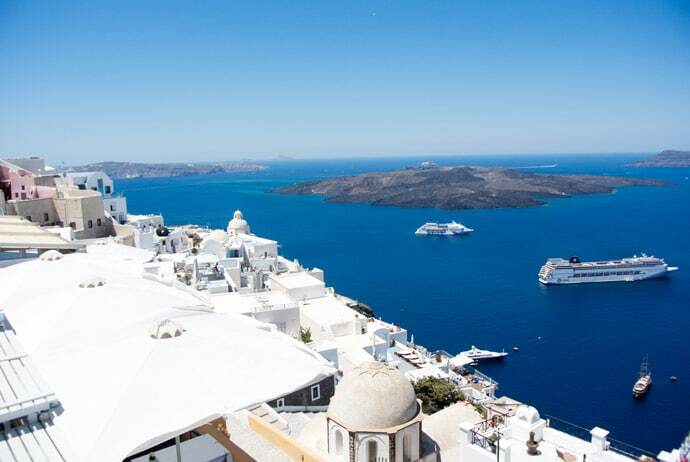 It’s probably what you imagine when you think of Santorini, as so many pictures of Santorini are of Oia. Known for a great place to take in the sunset, it’s also super busy at this time. There are also lot’s of restaurants and shops. 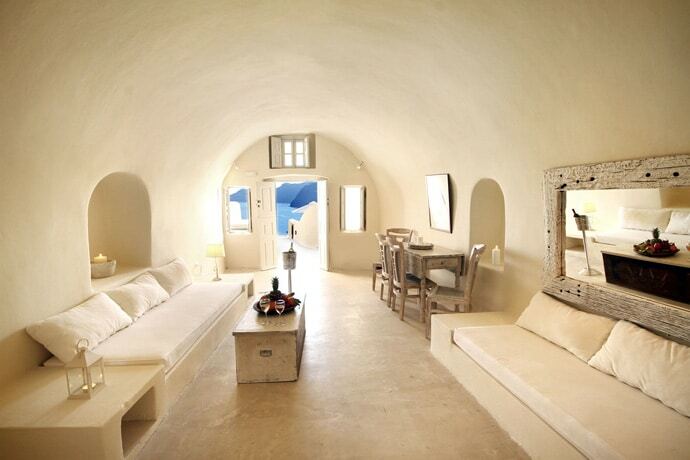 Stay here if you want picture-perfect Santorini, or to stay in an amazing cave house with stunning views. 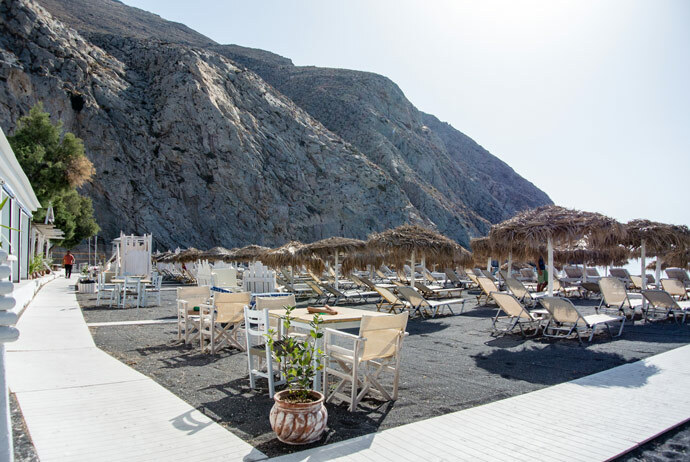 Although there is no immediate beach access, you can walk down to Amoudi Bay or some surrounding beaches for a swim. 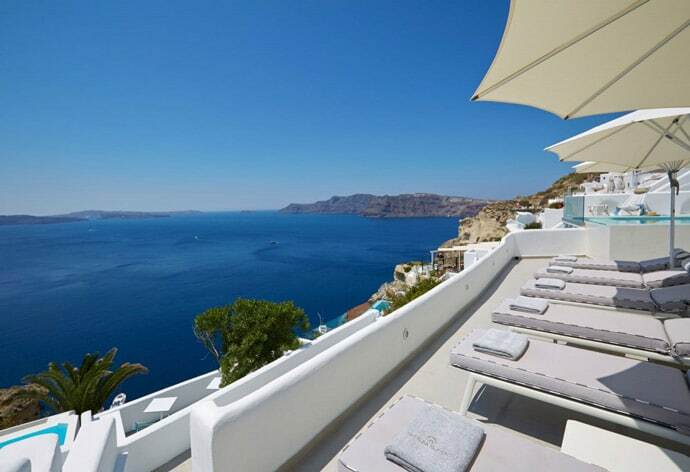 See our Santorini accommodation guide below for where to stay in Oia Santorini and hotels in Oia Santorini. 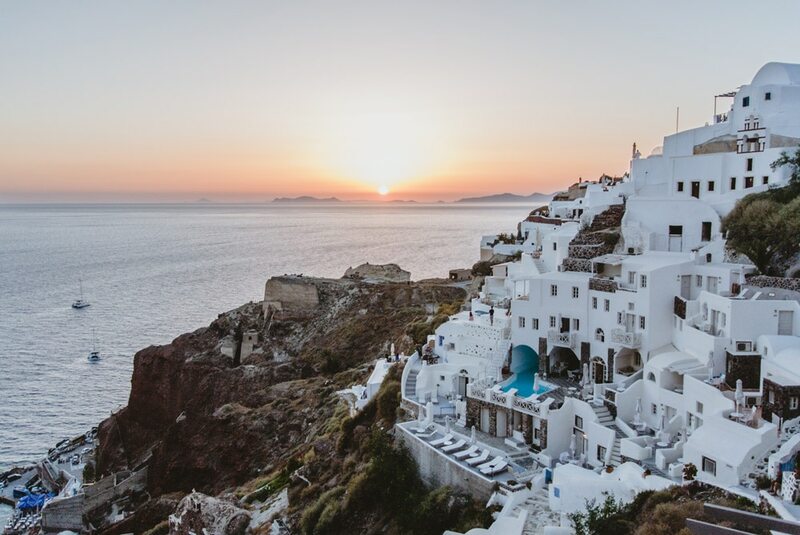 Fira is the island capital, where you will find lots of options for accommodation, shops, bars and restaurants, although it does lack a little bit of the charm of Oia. Also no immediate beach access here, but you can have caldera views. 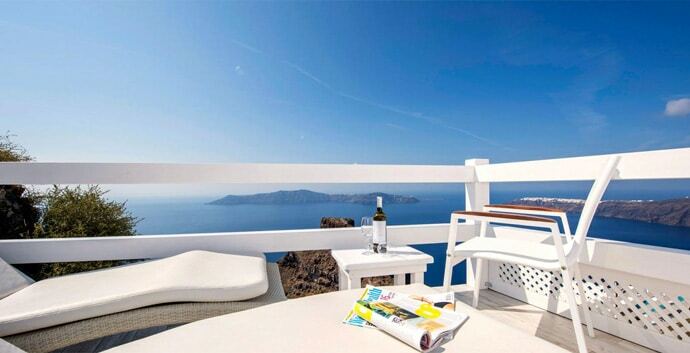 See our Santorini accommodation guide below for our picks of hotels in Fira Santorini. Firostefani neighbours Fira, so you can walk into Fira from here also. 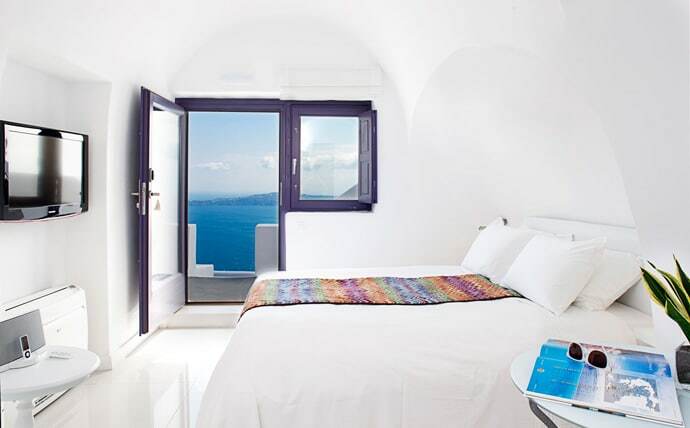 Stay here if you like the sound of Fira but want a quieter place with fewer people. Again, no immediate beach access, but you have caldera views. 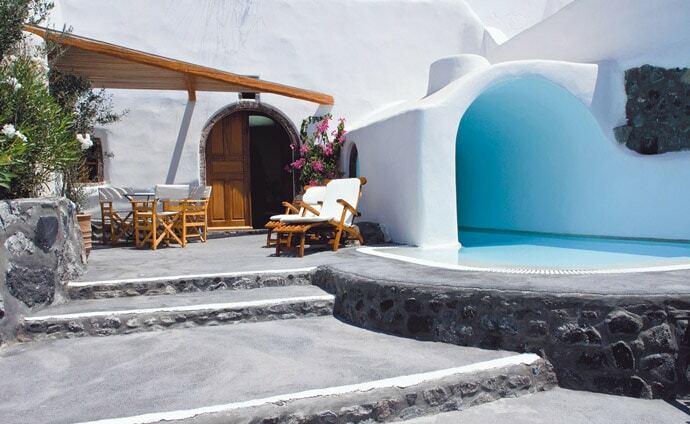 Imerovigli neighbours Firostefani and has some of the best sunset and caldera views in Santorini. It is much quieter as the area is mostly private homes and accommodation. This also means less access to restaurants and shops. Here there is no beach access. 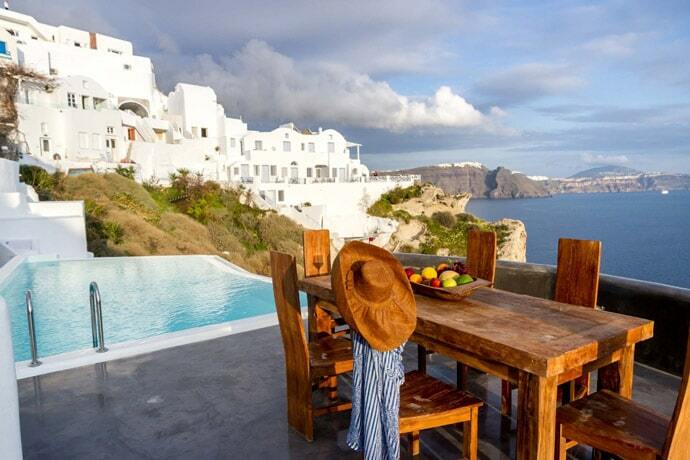 You may be trying to decide between Oia or Imerovigli. 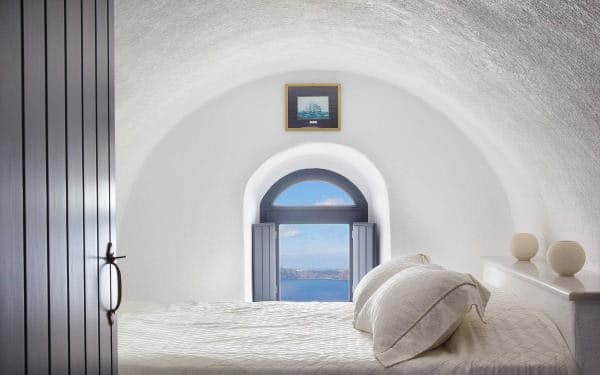 I think they are both great picks for where to stay in Santorini for couples. Here is how I would compare the two. 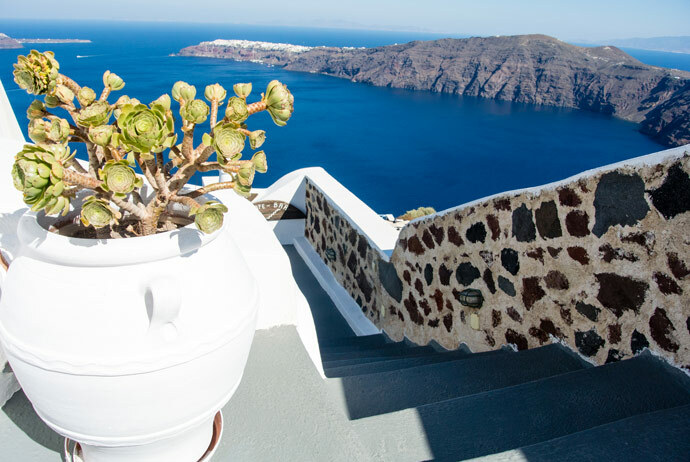 Oia has more shops and restaurants and is obviously busier with a beautiful village. However, Oia can feel a little removed from the rest of the island. Imerovigli is quieter but from here you can also walk to Firostefani and Fira (it takes about 30 minutes to walk from Imerovigli to Fira). Both have caldera views. 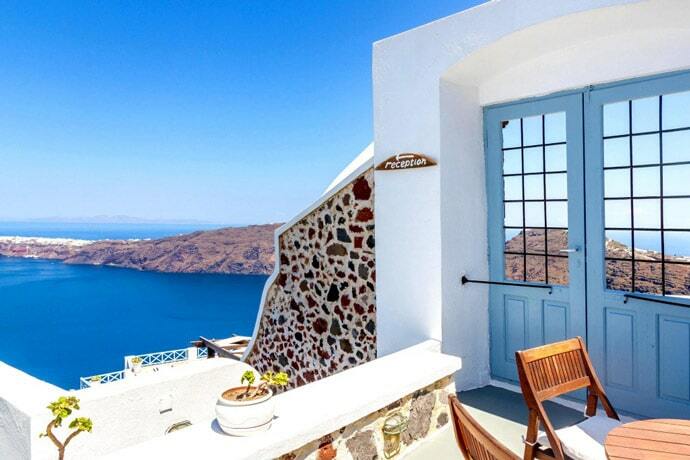 If you haven’t realised by now, Santorini is unique for the Greek islands. 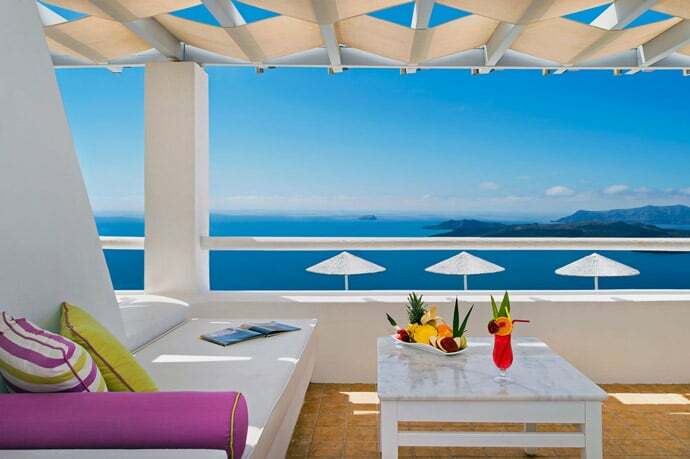 It’s a place where people come for the stunning caldera views over the beaches. 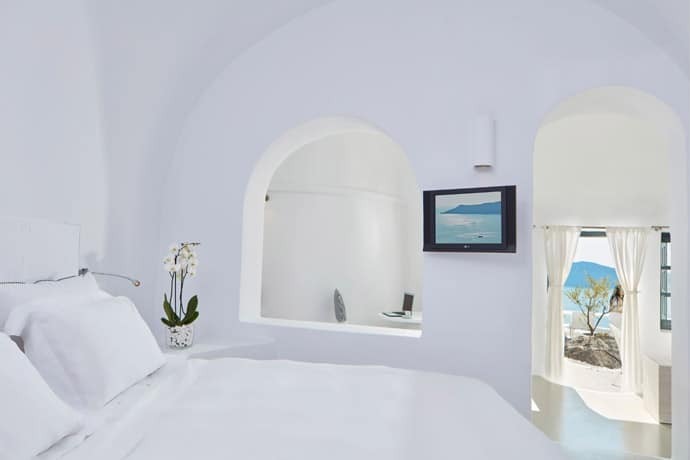 That being said, there are still some nice beaches on Santorini, and if the beach is your reason for coming, staying at Kamari might be more for you. Generally speaking, it will be less expensive than other areas, but you won’t get those amazing views. 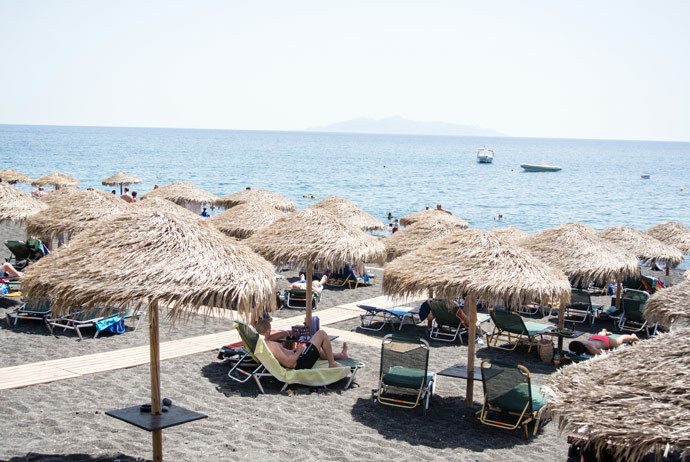 Perissa is known for its black beach and beach bars. It’s generally less expensive than other areas, with beach access but no caldera views. 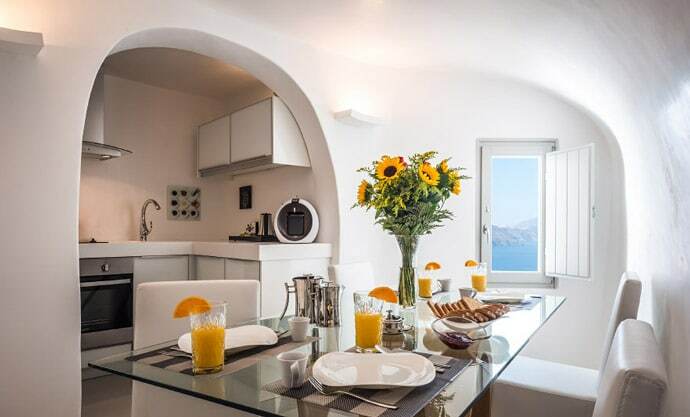 Perissa, Kamari and Fira are the best areas for budget accommodation in Santorini. Perissa and Kamari are both beach areas without the caldera views, whilst in Fira, you can still get Caldera views but without the beach. 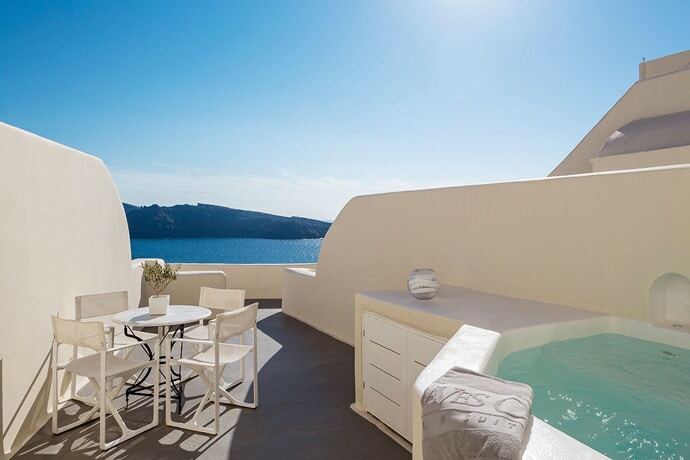 Oia, Imerovigli and Firostefani are our favourite areas for where to stay in Santorini for couples. All of these can have caldera views but there is no immediate beach access. 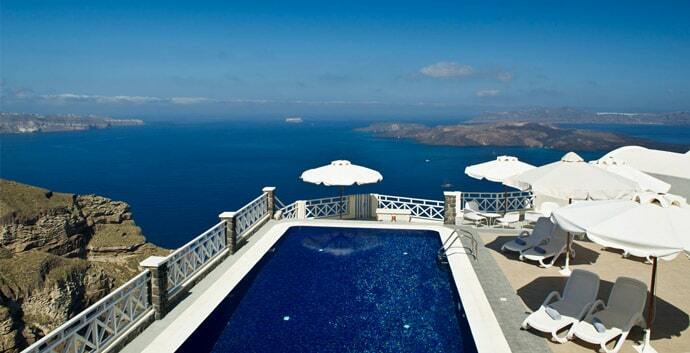 I would pick one of the villages with Caldera views as that’s what makes Santorini so special. Oia would be my pick of those, but I could also see benefits of the other villages. Of course, it all depends on what you want out of your holiday. 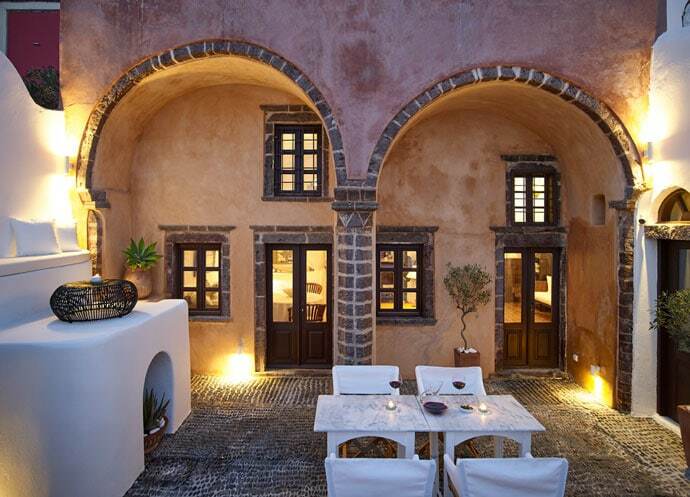 When booking accommodation in Santorini, there are two main websites that I use. 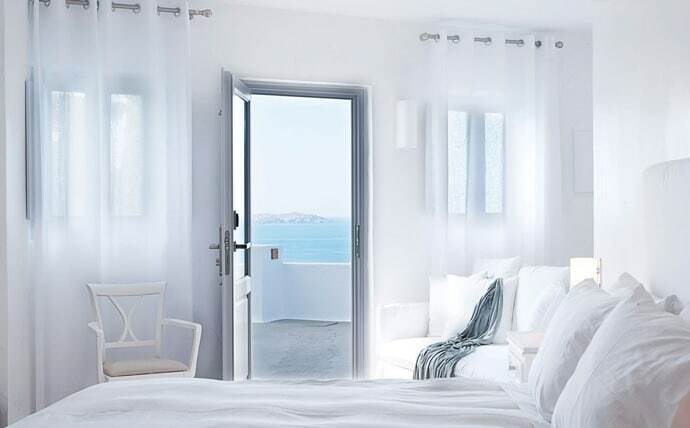 I love seeing what’s available from Airbnb in Santorini, from getting to stay with a local host or having your own place to yourself, there’s something for everyone. 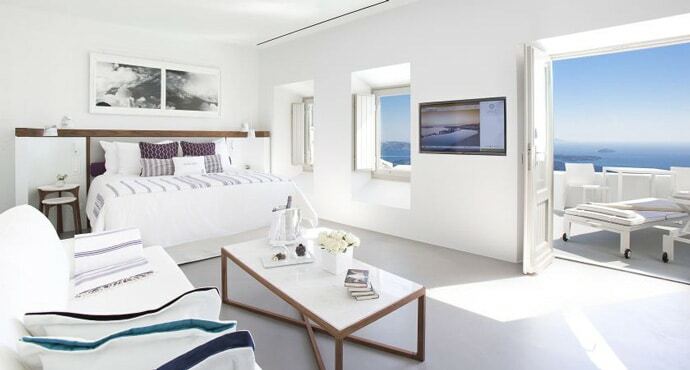 We have put together a guide of our favourite accommodation picks in Santorini. 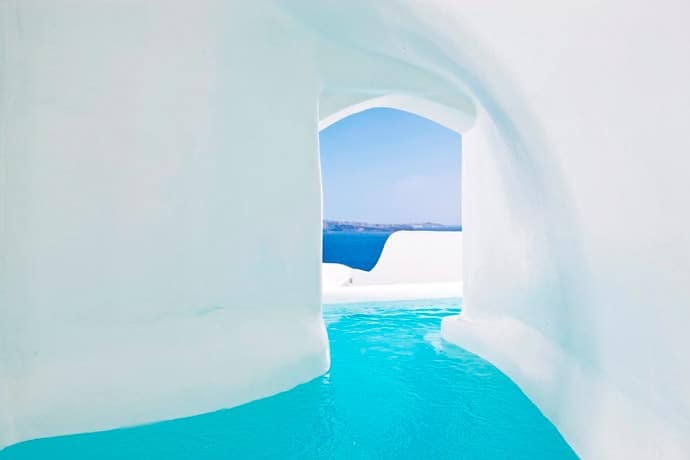 We haven’t stayed at all of these places (we wish we had been to Santorini that many times), but we’ve looked at photos, reviews, location, facilities, Instagram, magazines, websites, recommendations from friends and anything else I stumbled on and put all this together based on our own experience in Santorini, to find our favourite accommodation picks. 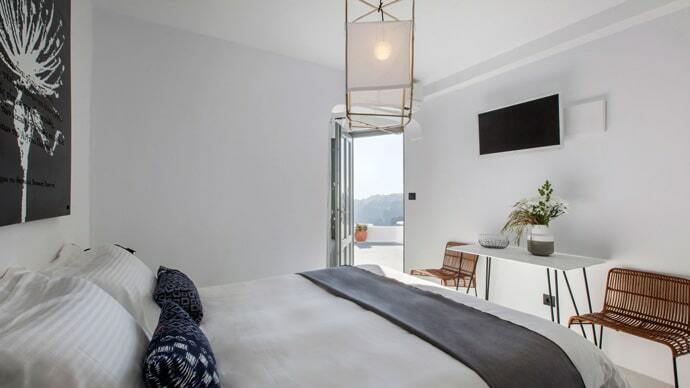 We will continually update this post to make sure we’re recommending the best Santorini Accommodation, to help you choose where to stay in Santorini.